We absolutely loved our time in Burgundy exploring its vineyards and wine culture. This is wine lover heaven. We would highly recommend basing yourself in the thriving village of Beaune if you go. If you do one thing in Burgundy, do this! Read about our day pedaling among the famed vineyards here. Undoubtedly one of my favorite wine experiences. 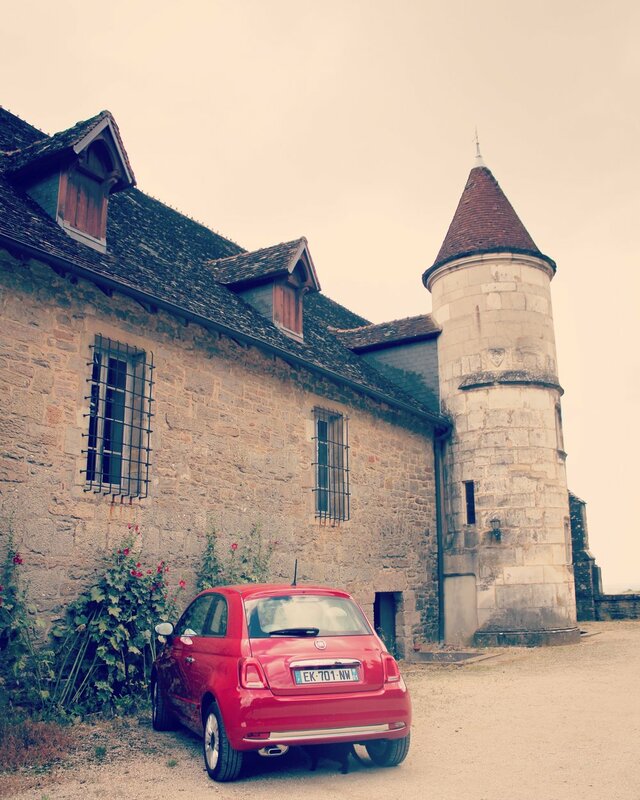 Our favorite winery visit in Burgundy. A sense of history pervades this site where monks first made wines during the seventeenth century. This wine shop / bar is the perfect place to stop while pedaling the Voie des Vignes bicycle route. Nicole says it would be worthy of a drive, I say, nope (! ), pedal there. Nicole loves French markets. Beaune's thriving weekly Saturday market takes place from 6:00 a.m. to 12:30 p.m in the central town square and is not to be missed. A wine shop / tasting room on the outskirts of Beaune. Load money onto a card and decide which tastings of the 40+ Burgundy wines to try utilizing the shops Enomatic auto-pour machines. If you want to sample a wide selection of Burgundy wines without breaking the bank, this is your stop. Our baptism into the passion that is Burgundy wine. Make a reservation for this wine tasting and we guarantee you will be entertained. We had so much fun. Established by the wine producers of the lesser-known Chalonnaise region in southern Burgundy, this modern tasting room offers free tastings of dozens of area wines.